Working for years alongside dermatologists, renowned facialist Anne Semonin developed a skincare range that's specially tailored to meet the demands of each unique complexion. 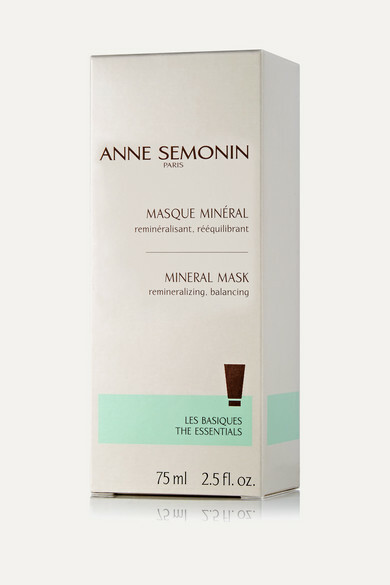 Unlike astringent mineral masks, her gentle version can also be used as an eye treatment or daily cleanser. It's formulated with Laminaria Seaweed and Mineral Salts to purify and hydrate skin. A blend of extracts - including Lemon, Horsetail, Hops, Pine and Rosemary - remove impurities and enhance radiance.